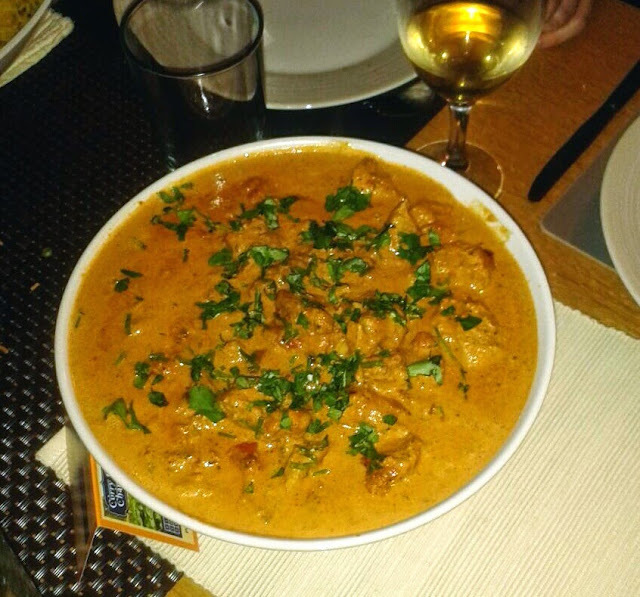 Hosting a curry evening could be either cooking a curry (well, of course! ), ordering a takeaway, or indeed going out to one of the participating restaurants, and then simply ask your guests to donate whatever they wish (suggesting the amount they would usually pay for their curry). Every penny you help to raise will be matched by the campaign partner Natco, which means we can make double the difference to the lives of families suffering from hunger. There's still time if you wish to do the same, until the end of October. Find your Feet will send you a fundraising pack with recipes and spices and Natco will double your donation! Or Text FEET00 and the amount you wish to give to 70070. 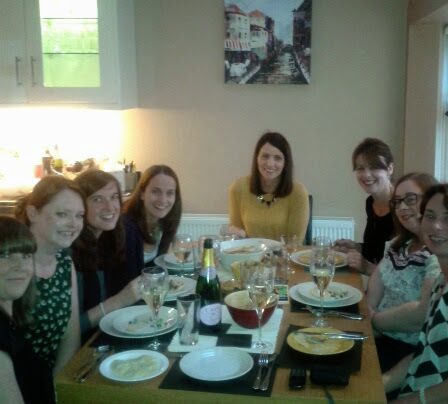 Thanks to the Rhona and Lauren for their generous hostessing. And all our gorgeous guests. What better way to celebrate being friends for 20 years? 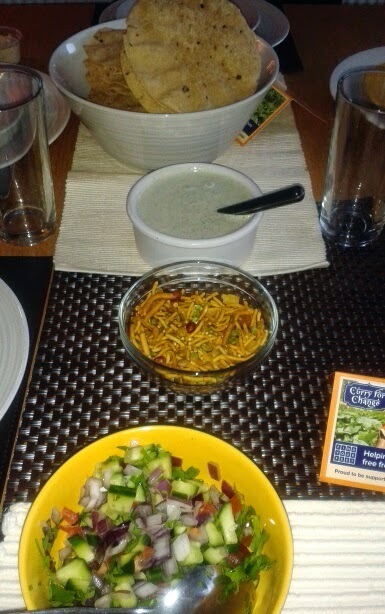 Pappadoms, with homemade mint sauce and onion salad. 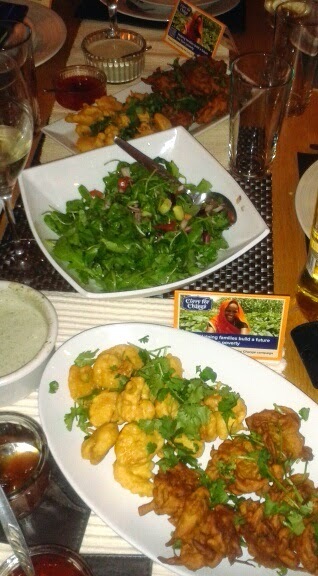 Homemade onion bhajis and prawn pakoras by Rhona. With just a little help from Gordon and Rick. 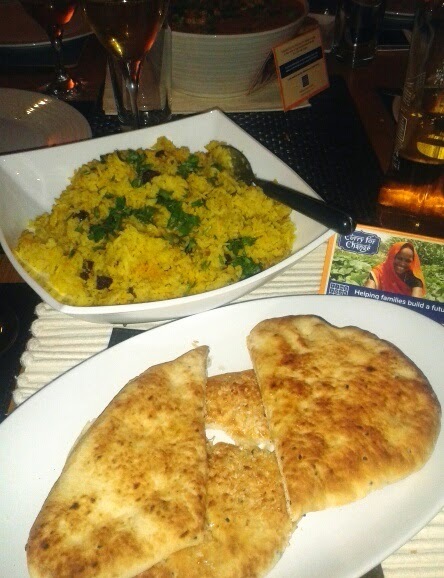 With homemade pilau rice and peshwari naan. The chapatis didn't turn out so good!